Wow, each time I am ready to write the obituary for this season's snow riding I get shut down. Not that I'm complaining. I was ready my friend Camp's blog last week and he had a post called "Chasing Snow" that struck a chord. Although he's been chasing on two planks more than two wheels and me, well I haven't had to chase as much as I've just been embracing the snow. All the same, we've both been getting a big fat helping of the white stuff this year. In between things warm up and it looks like it will be all over. Take last week: after 4 inches of fresh snow temps warmed up to the 50s for a couple of days but the snow stuck around and gave me a hell of a work out. 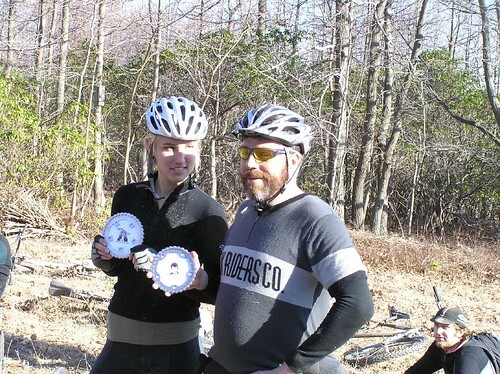 I also rounded up some local knuckleheads to do our annual Single Speed Punk Bike Enduro. Always a good time but some overnight rain turned some trails into a mix of ice and snow and others the snow just disappeared. Always a good cast of characters who show up, this year saw quite a few regulars missing from the action while we had a number of new faces to balance it all out. If you didn't get your engraved invitation please don't be upset, it's not that we don't love you, only that my pea sized brain can only handle so much information processing. Earlier this week I was once again set to call winter over, I mean it hit 81 degrees on Wednesday, but then the weather people came out and called for flurries on Friday. This then progressed to a prediction of 1 - 2" and as Friday actually came about it moved up to 4" - 8" depending on who's forecast you watched. I was getting stokes, others were ready to commit Hari Kari. As the storm cranked up it was obvious that we were getting a good blast of snow that was going to stretch on most of the day. When it was all over we had 5 inches at my house in town. On Saturday a few of us decide to give it a go and headed up the mountain. 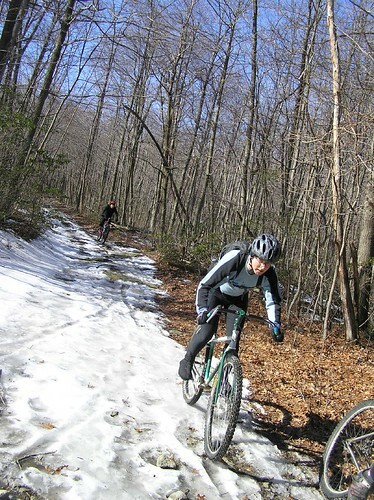 There we were greeted with 7 - 8" of snow that was almost impossible to ride downhill. We quickly realized we were going to do more hiking than biking and bailed to the gravel roads. Thanks to the monster trucks the snow there was pretty packed and a lot more passable. Still plenty of work (including a 4 mile climb) and a blast to ride. The trees were covered with ice and shined in the sun like millions of crystals lining our route. With the water bottles filled with Otter Creek Stovepipe Porter we had a good day of riding despite the lack of proper trails. Lower on the mountain the trucks and warm weather had worn things down to the dirt so it looked like Saturday was our window of opportunity. Sunday Andy N. and I had planned on heading south to Elizabeth Furnace, but snow reports from down there crushed that plan. Instead we suffered on the road fight 15 - 20 mph winds. It was 31 degrees when we started but it felt like 21 according to weather.com reports. 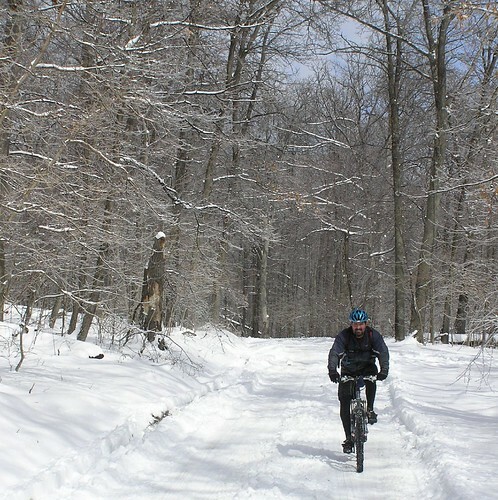 I had come to the conclusion the snow riding streak was officially over, but some of those back country roads appeared to be unplowed and still had some nice stretches of snow we had to negotiate. That still counts, doesn't it? 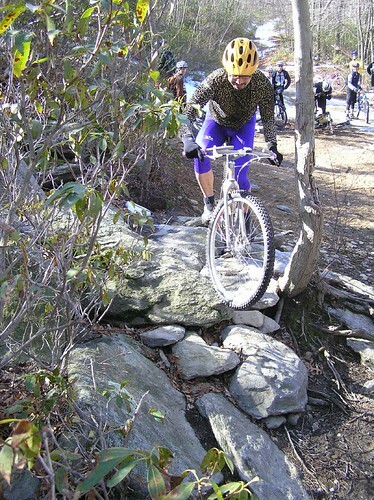 Luckily we were both running Ritchey Speedmax cyclocross tires which helped in the traction department. What's in store for this week? Who knows. There is surely snow still up on the trails, but the question of if it will be rideable by Wednesday is the thing that needs to be answered. It might we a dense pile of wet slushy snow by then. Has the streak ended or can it continue? Stay tuned.